Very nice area and nice walk to Devet Skal from the parking. Very crowdy in the day with hikers but completely quiet in the night. Nice quiet place in the forest. 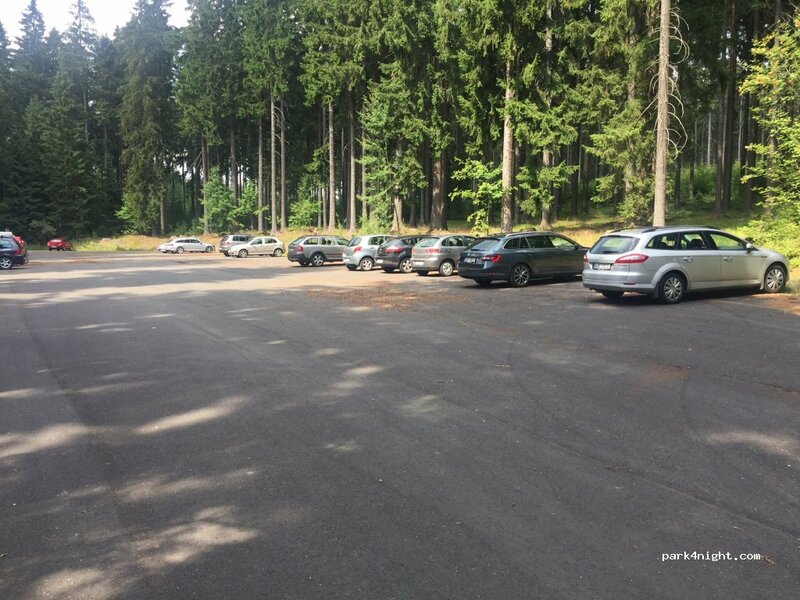 Parking place for 50 cars near the hill Devět skal. During the night nobody there. Missing trash can. 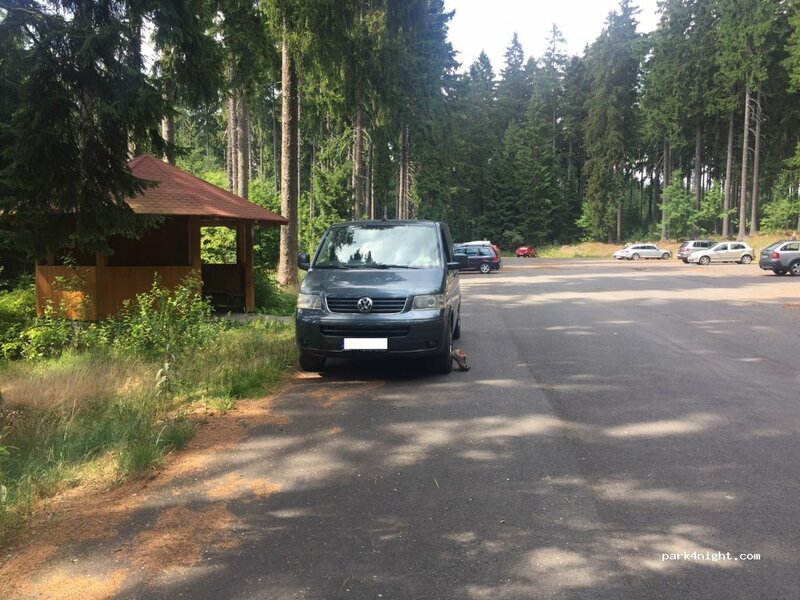 By the road but quite with a beautiful view to Jimramov area. One table with bench. A grassy parking lot by the lake next to the hotel.